Exciting and Scary! 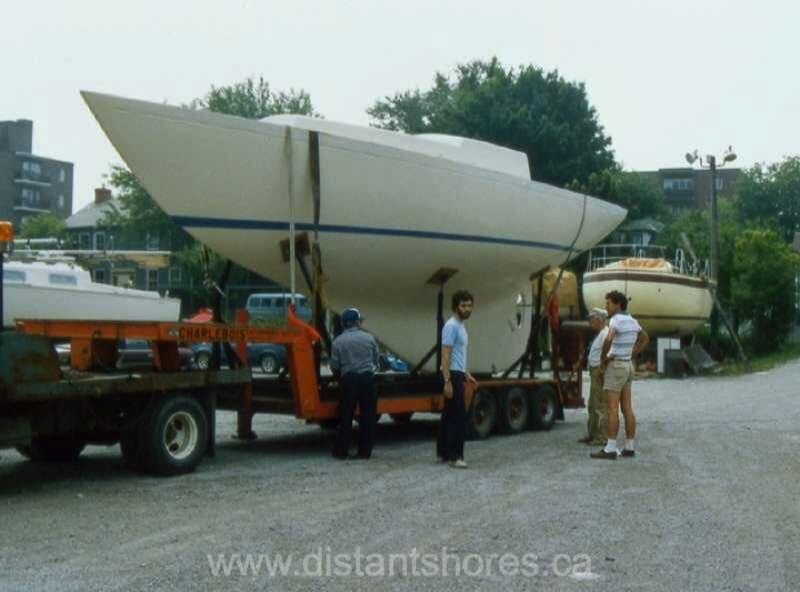 The day our “bare hull” arrived. 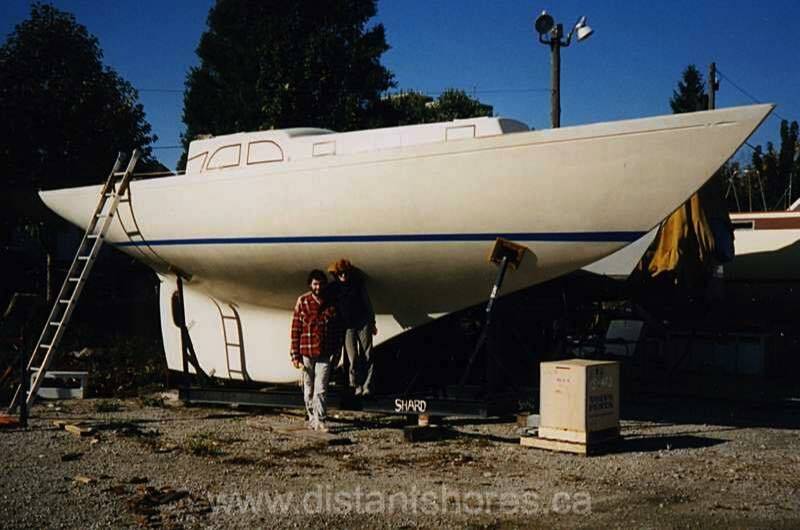 In 1986 we bought the hull and deck of a Classic 37 sailboat and set about fitting her out. Planning... we taped outlines of the windows on to see how they looked before cutting them out. Note the new engine is in the box waiting to be installed. 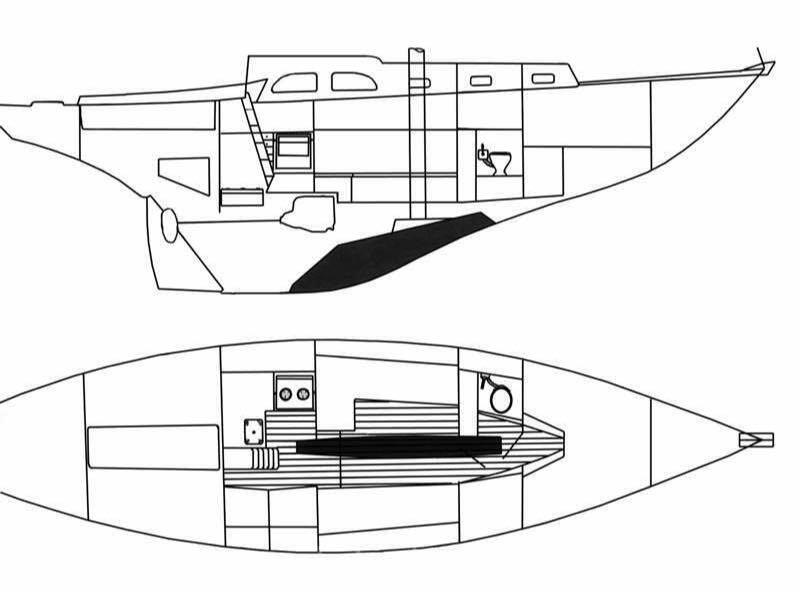 Glassing all bulkheads, shelves etc to the hull. 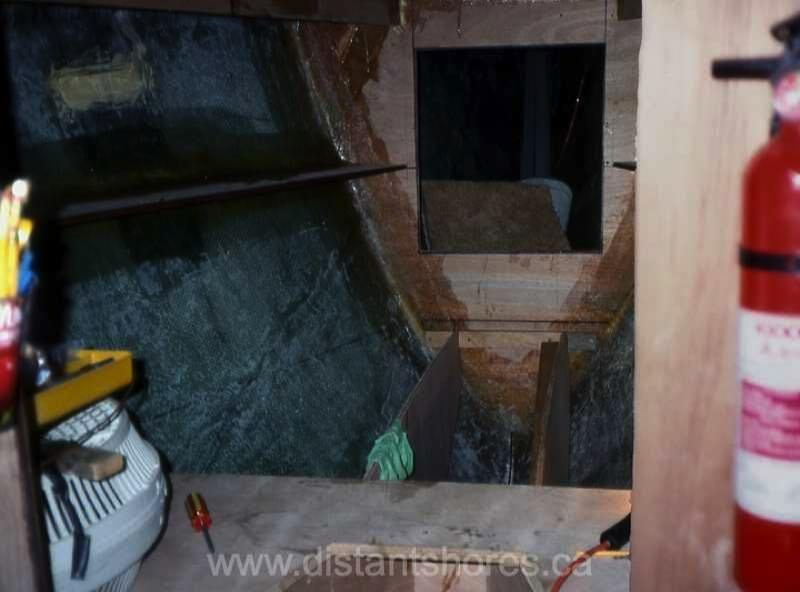 We went through nearly 100 gallons of fibreglass resin and countless sheets of top quality marine plywood. She cost over $100K to build plus all our labour. But we learned a lot!! 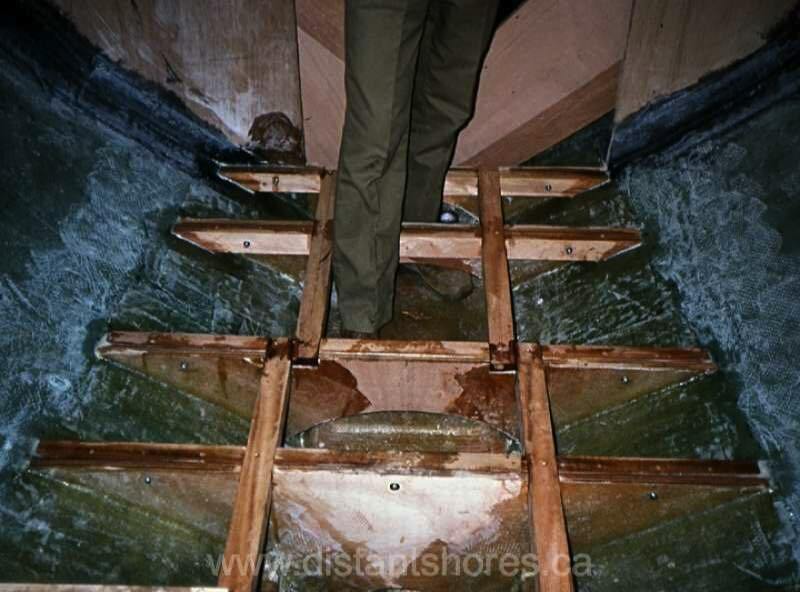 Floors glassed in plus a mast-step to support the keel-stepped mast. 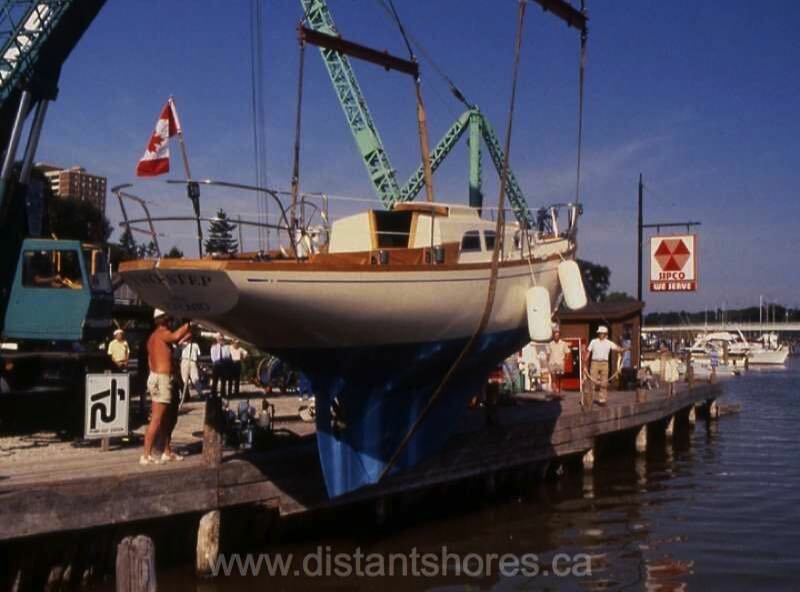 2 years later we launched her to test-sail but she was still bare inside. 1 more year of finishing woodwork before we were ready to set off! 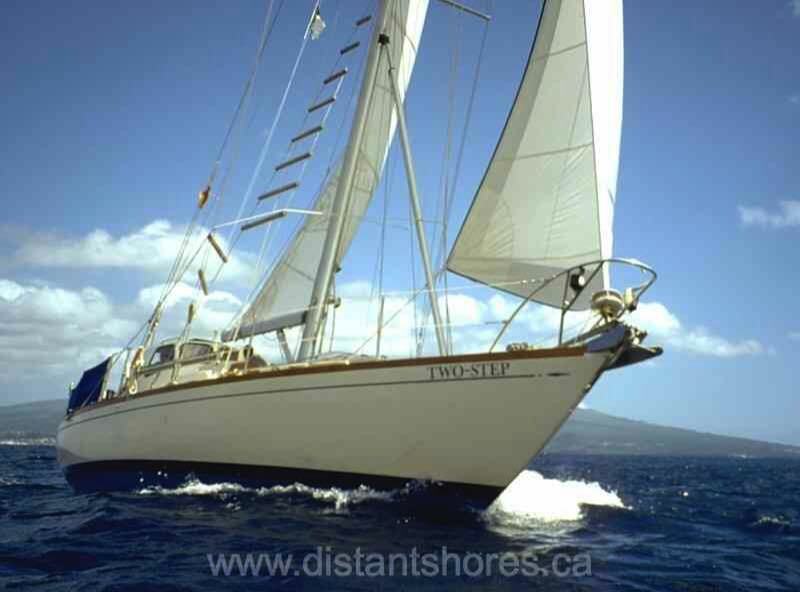 1989 we sailed south from Toronto Canada to New York, the ICW and then the Bahamas for the winter! This is what we had dreamed of! Then across the Atlantic to the Azores and Europe in 1990! 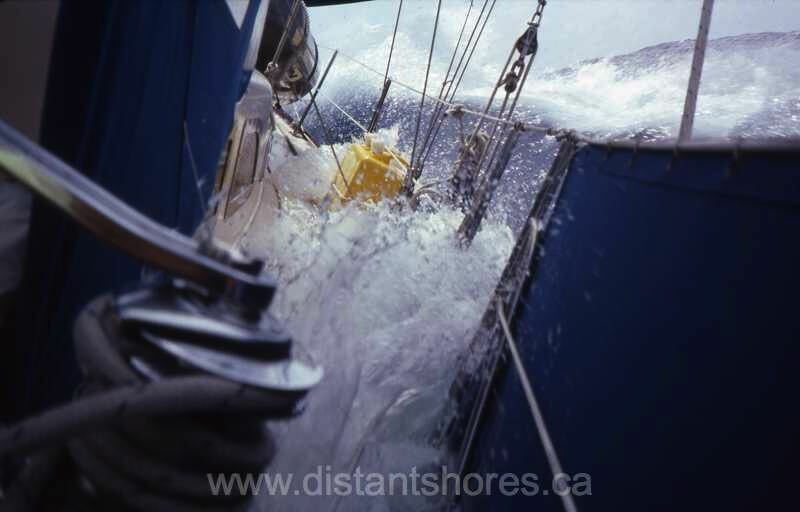 Roughest weather we had seen with seas to 7 meters - yikes! A bit tattered and torn but basically OK we arrived in the Azores after 18 days at sea. We continued sailing Two-Step for 18 years. 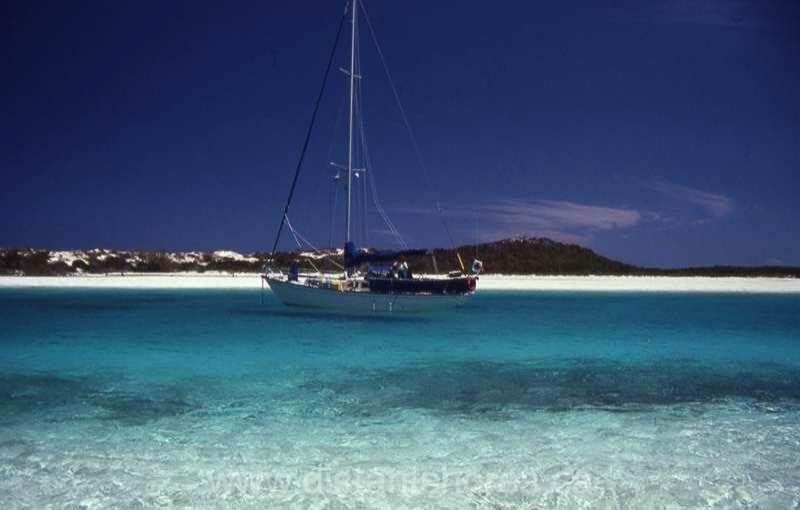 For a fuller account of her adventures around the Mediterranean check out our earlier adventures here with the Mediterranean Distant Shores DVDs. 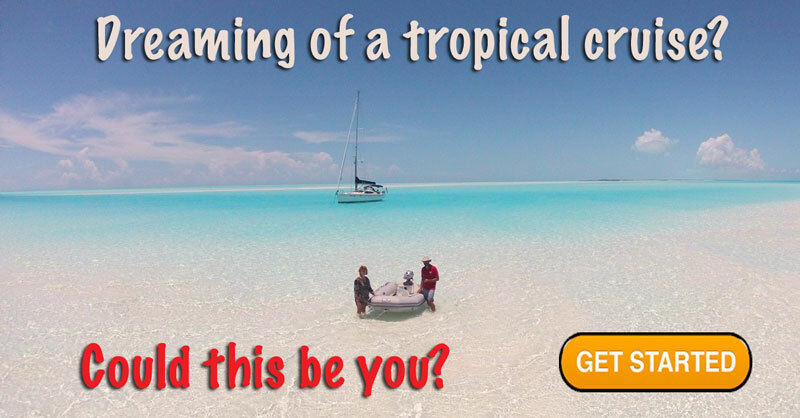 Welcome to these Classic Episodes of Distant Shores where we revisit destinations from our cruise in the Mediterranean. This time sailing from Malta to Pompeii. In Malta we meet up with a sailing instructor who demonstrates techniques for new sailors. Then we set off for Sicily and on up the Italian coast towards Pompeii.